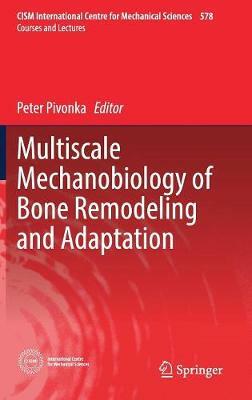 The book presents state-of-the-art developments in multiscale modeling and latest experimental data on multiscale mechanobiology of bone remodeling and adaptation including fracture healing applications. The multiscale models include musculoskeletal models describing bone-muscle interactions during daily activities such as walking or running, micromechanical models for estimation of bone mechanical properties, bone remodeling and adaptation models, cellular models describing the complex bone-cell interactions taking into account biochemical and biomechanical regulatory factors. Also subcellular processes are covered including arrangement of actin filaments due to mechanical loading and change of receptor configurations.